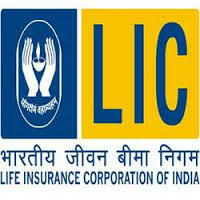 Life Insurance Corporation (LIC) Has Invited Application Form For 108 LIC Agent. Age Limit: Age should be between 18 to 55 Years As On 3-06-2016. Age relaxations will be applicable as per the rules. How to Apply: Download and read vacancy notification to get aware of recruitment schedule and venue from official. Aspirant must reach advertised venue and attend walkin interview on the dates mentioned below with all original document and xerox copies, filled in application form (if required) as mentioned in detailed advertisement. 30-06-2016.